An interview with Chris Gautz. Chris Gautz, the Capitol Correspondent for Crains Detroit Business, spent hours this morning at the Capitol where the state’s Revenue Estimating Conference took place. That's where lawmakers, budget officials, and economists come together to make their best educated guess about the future of the state’s economy, and check-in, basically, on the state’s finances. Political observers, and "political nerds" (like our Executive Producer Zoe Clark), love these meetings. For others, however, it’s hard to get super excited about hours of numbers, finances, and "economist-speak." Chris Gautz joined us today in the studio. LANSING, Mich. (AP) - Economists say Michigan's economy is turning around for the fourth straight year in part because the housing sector is on the mend. University of Michigan experts told state lawmakers Wednesday that employment grew significantly faster in the past two years than previously estimated. 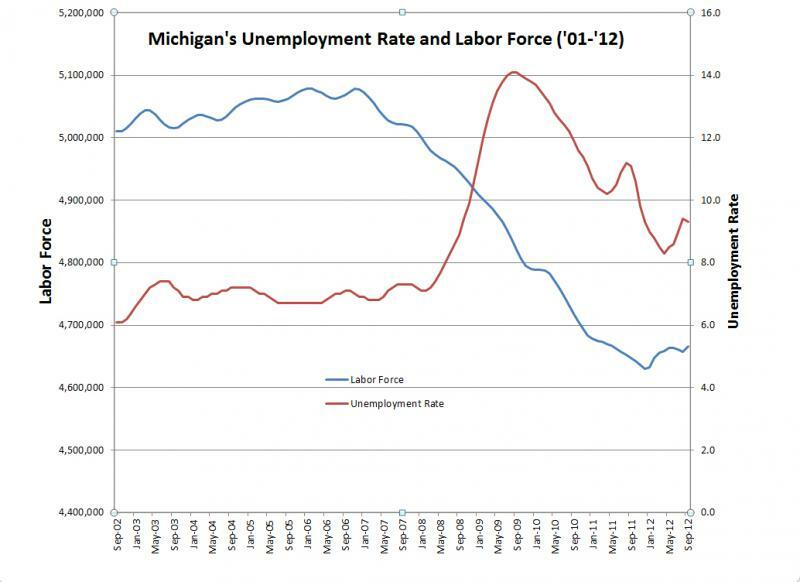 Michigan's unemployment rate dropped 1.3 percentage points in 2012 and is expected to continue gradually declining. The downside is the state's jobless rate is high, above where it was before the national downturn in the economy in 2008. 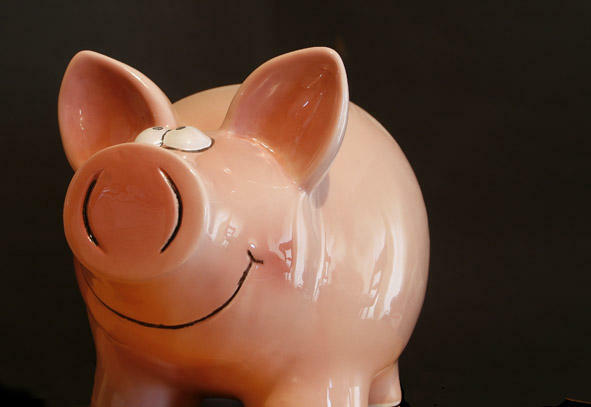 How much money should Michigan keep in its piggy bank? LANSING, Mich. (AP) - Gov. Rick Snyder and lawmakers don't agree on how much money to set aside in Michigan's savings account. The rainy day fund was nearly empty when the Republican governor took office after a decade of job losses and budget crises. He successfully built it back up to more than $500 million and is hoping to add another $75 million. Snyder says a healthy cash reserve is good for the state's credit rating and prudent in case there are future economic downturns. But the GOP-led Senate next week is expected to approve a budget without extra money in the account. Some legislators say savings are robust and the $75 million should go to other priorities instead. The House is more in line with Snyder. Lawmakers will negotiate their differences next month. Michigan was recently ranked fifth on USA Today's list of craft brew states in the country. 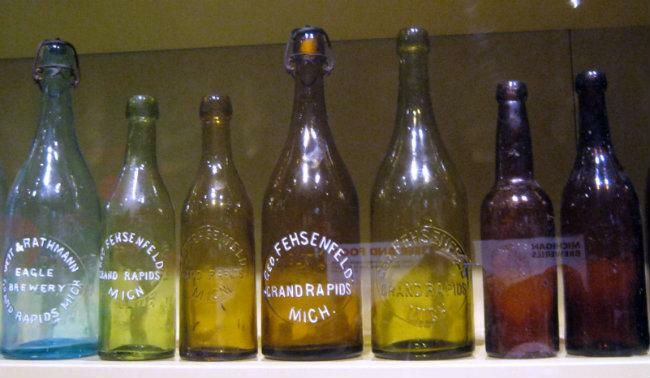 Over the past three to four years Michigan has seen a large growth in microbrewies. There has been recent buzz within the microbrewery scene in Michigan with news that the state's first 'Mobile Canning' line is being launched. Microbreweries around the state will be able to get cans of their brew onto store shelves without having to invest in costly canning equipment. It has been a challenging few years for nonprofit groups in Michigan. Whether they depended on private donations or corporate donations or both, the Great Recession hurt organizations all over the state. But as our state gradually recovers, so are the nonprofits, especially in certain areas of Michigan. Montgomery Consulting of Huntington Woods is out with a new survey of fundraising conditions in Michigan. It gives us a quick look at who's on the rebound and who is still struggling. Today Michael Montgomery joins us from Huntington Woods. He gives us a look at Michigan's regions and where nonprofits are doing the best in terms of meeting their fundraising goals. He also gives us some tips for those who run nonprofits in Michigan and people who are prospective donors. Today, the annual Washtenaw County Outlook event will bring economists, businesses, and government officials together to address the current and future economic prospects for the county. Lizzy Alfs of AnnArbor.com reports many were surprised to hear an economic forecast that Washtenaw County is expected to increase its job growth. Stateside: What lies ahead for auto companies? The clouds have been lifting for U.S. car makers. With car sales and America's economy picking up, there are some who are looking further down the road. They have been wondering if deeper, bigger challenges lie ahead for the companies who put the world on wheels. One of those wondering is automotive writer Micki Maynard. She recently published a couple of pieces in Forbes Magazine exploring what she calls "The Secret Fear of the World's Biggest Auto Companies". Micki Maynard spoke with us to explain exactly what is the "Secret Fear" of the World's Biggest Auto Companies. FLINT, Mich. (AP) - University of Michigan economists are predicting job growth for the region including Genesee, Lapeer, Livingston, Macomb, Oakland, St. Clair and Shiawassee counties. George Fulton and Don Grimes of the Ann Arbor school's Institute for Research on Labor, Employment, and the Economy said the areas will gain more than 76,000 jobs this year through 2015. They issued the annual forecast Thursday for the Economic Growth Alliance, a partnership that includes the counties. They say the region will add 17,600 jobs this year, 27,200 jobs in 2014 and 31,600 jobs in 2015. That comes after a gain of nearly 75,000 jobs over the past three years. Fulton and Grimes say that the job growth will be accompanied by slowly declining unemployment and relatively tame inflation. Stateside for Wednesday, February 20th, 2013. Today on Stateside, Michiganders, you have spoken. A new report is out today about how you think we can move the economy forward. We'll find out more on today's show, and we'll speak to a former University President who says universities themselves might be contributing to some of the economic crunch they're facing. But in the first part of our show, we turn to the question of just how much support the state of Michigan should give to the film industry and filmmakers. 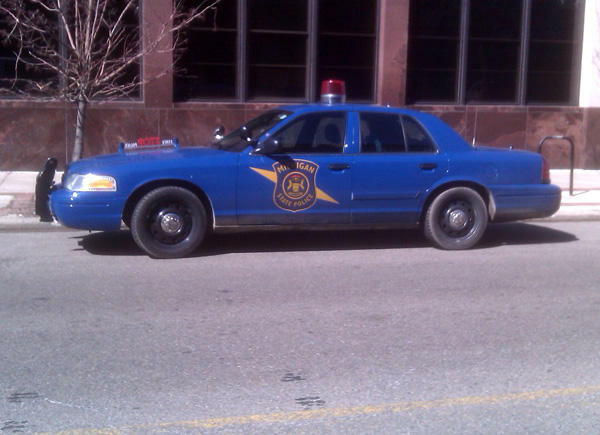 Governor Snyder's recent budget proposal contained $25 million in tax credits for film makers. That's a 50 percent cut from the present film credit cap of $50 million, and some lawmakers, including Senate Majority Leader Randy Richardville, a fellow Republican, say that is one bad plan that he says will drive the film industry out of Michigan. There is certainly no shortage of reporting, discussion and conversation about what should happen to breath new life into Michigan's economy. 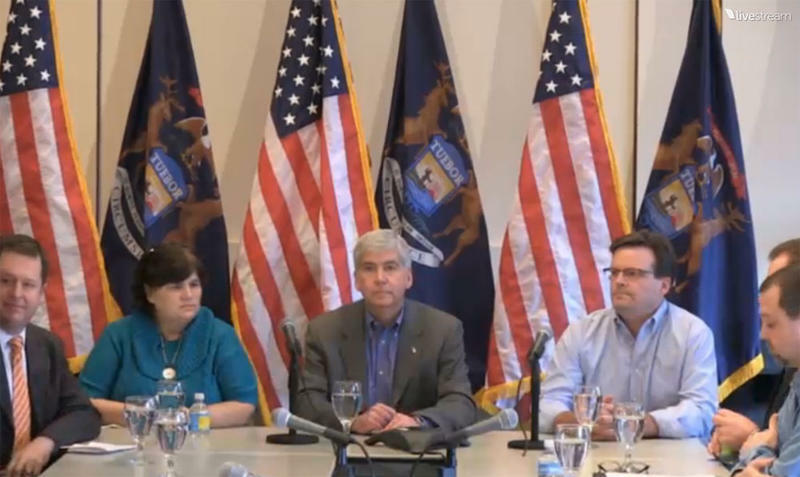 Most of this conversation seems to revolve around the thought of legislatures, policy makers, and Governor Snyder. But what do Michiganders think should happen to help restore the economy and what do you want to see as a Michigan citizen? Earlier this week, Gov. Rick Snyder, Senator Debbie Stabenow and nearly 100 small business owners were in Detroit for the opening of a new regional office for the Export-Import Bank of the United States. The new office is expected to help Michigan businesses export products overseas by providing access to various types of insurance, loans, and financial resources. According to their website, the agency has helped generate $456 billion in export revenue since its creation by Franklin D. Roosevelt in 1934. 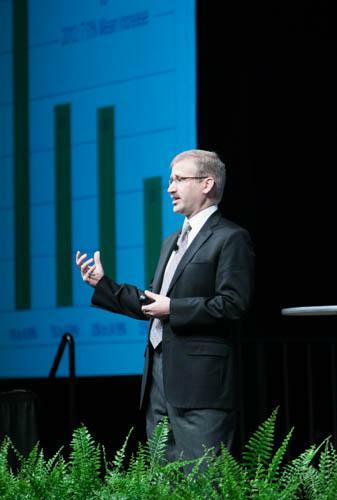 Economists predict the economy in West Michigan will grow at a slow but steady pace this year. “I mean we’re really looking at another year that feels like last year which isn’t so bad,” Paul Isley, chair of Grand Valley State University’s Seidman College of Business, said. “We're growing here in West Michigan. We have a potential that by the end of this year at least some areas of West Michigan will finally be above, employment wise, where we were in 2000, which will be really a hallmark,” Isley said. Coming off two good earnings reports, the Compuware Company announced today it rejected a takeover bid by a hedge fund company. The City of Flint is hosting a public forum this evening to discuss its plan for the future. "This is a chance for a lot of the political leaders and some community people to lay out the process and to get additional information from the audience," said Michael Kelly of the Flint Area Public Affairs Forum. He says the forum will allow city leaders to talk about assets and challenges that face the city. Listen to the full interview with Michigan Radio's Jennifer White and Bernard Swiecki of CAR. With the Detroit International Auto Show only just beginning, GM and Chrysler are already receiving good news. This year's North American Car of the Year award went to the Cadillac ATS, while Truck of the Year was awarded to the Dodge Ram 1500. According to Bernard Swiecki with the Center for Automotive Research, these awards are more significant in their effects on confidence, rather than their impact on sales. "Interestingly, both of these vehicles are built in Michigan, so there's a very real local connection there as well. This is kind of an endorsement that both of these critical vehicles were done right by the engineering teams. " Swiecki mentions that confidence is shown not only in the vehicles, but in the atmosphere of this year's Detroit Auto Show, and is a clear departure from the austerity of the post-bailout shows of the past. "In the 2009 and 2010 shows, there was almost an atmosphere of allaying the fears that 'We're not going to be here next year', and that's really not the case anymore, and it hasn't been for the last two or three years. Now it's more about a confident approach, showing future products with every certainty that 1) the companies are viable and 2) the products themselves are world-class," he said. 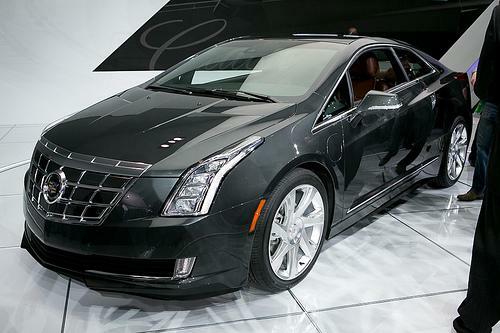 These American vehicles are world-class, and green, according to Swiecki, who claims that green-technology continues to be a pronounced trend in new American vehicles, such as Cadillac's luxurious take on the Chevy Volt. Green technology is even moving across vehicle platforms this year to trucks with Ford's Atlas Pickup concept, which will eventually become the next generation Ford F-150. Cyndy spoke with Heidi Alcock and Tom Goddeeris about neighborhood improvement and community engagement in Detroit. 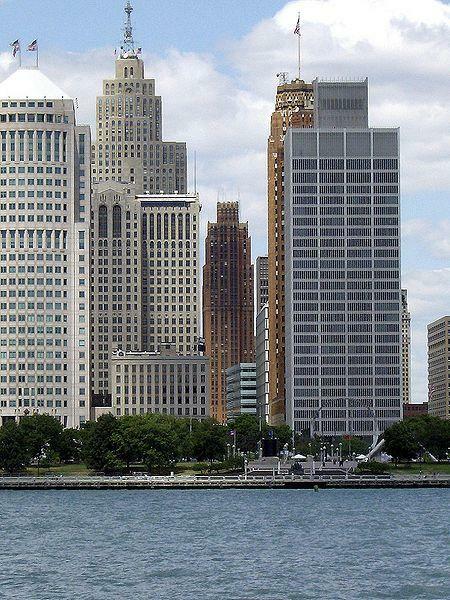 Detroit's revitalization is a recurring topic on Stateside. The city's vacant buildings are an interactive lesson in real estate and community maintenance. Today, Stateside focused on neighborhood improvement and community engagement. 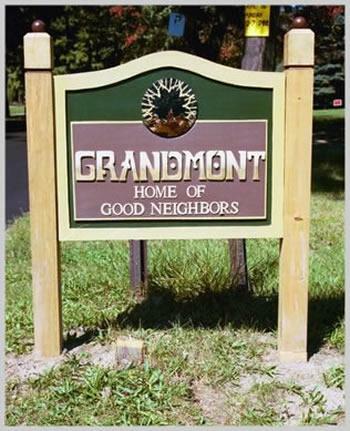 Heidi Alcock of the Detroit Vacant Property Campaign and Tom Goddeeris of the Grandmont Rosedale Development Corporation shared their revitalization goals. Alcock started the Detroit Vacant Property Campaign to reduce the amount of abandoned buildings in Detroit- improving both property value and morale. “One vacant property can be very dangerous on an otherwise stable block,” said Alcock. “Beginning with the mortgage foreclosure crisis we’ve seen vacancy rate go from about 2% in 2000 to 11% in 2010. Probably the biggest impact it’s had on our community is that it has driven values down,” said Goddeeris. Dozens of State Police have gathered in a hallway in the Capitol’s lower level, cordoned off by blue curtains. This is their base of operations in the building this week as hundreds – maybe thousands - of protesters are expected to fill the upper levels. In one closet, police have stashed helmets and other riot gear. Capitol Facilities Director Steve Benkovsky hopes the demonstrations will stay peaceful. "Everybody has a right to come in here and voice their opinion. And we'll deal with it the best we can and let them voice their opinion," said Benkovsky. 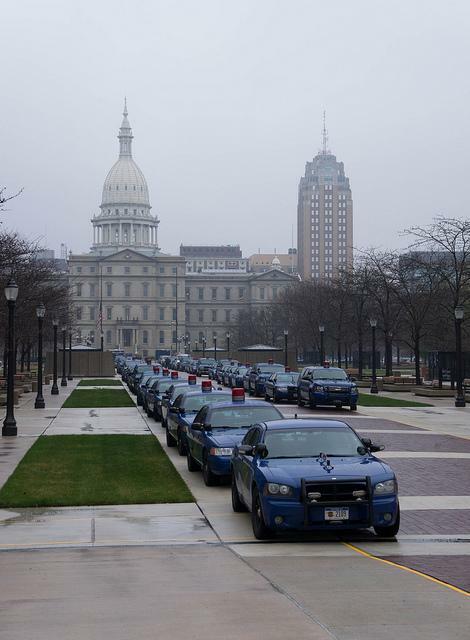 State and local police plan to close a number of streets around the state Capitol. They will also limit the number of people allowed in the building. Right-to-work in Michigan: Is there a middle ground? One thing I know about politically polarizing issues: arguing for middle-of-the-road positions alienates a lot of folks. And I feel I can say that with some authority, given that as an employee of several media companies, I’ve been a member of three of them. In every case, I felt unions were so concerned about protecting territory, that they were, at times, anti-progressive, and too often in the business of preserving their power. I was prevented from developing technical skills I would have been wise to learn. Later in my career, when I worked at non-union shops, I was glad that, if I wanted to try something new, I could. Now, that may seem like a funny way for me to argue that right-to-work laws are a bad idea, but that’s where I’m going with this. We're updating this post on the legislature's effort to pass a 'right-to-work' law in Michigan. A right-to-work law would outlaw requirements that workers pay union dues or fees as a condition of employment. Unions say these laws weaken their ability to bargain collectively with employers. Supporters of the law say it gives workers a choice. 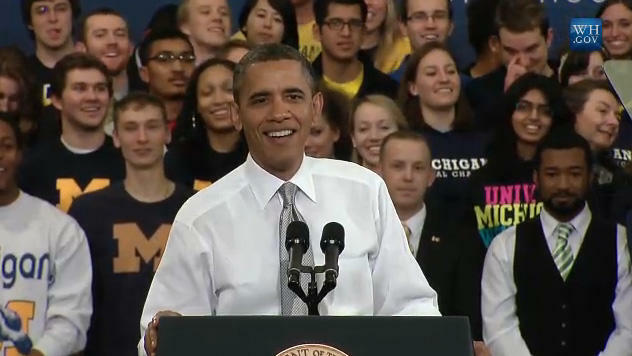 President Obama will be making his first trip to Michigan in nearly eight months. The last time he was in Michigan, Mr. Obama stopped at the Henry Ford Museum in Dearborn for a campaign event. 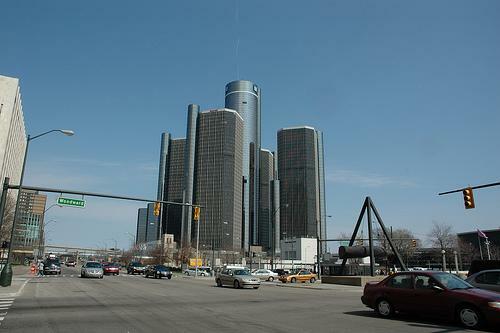 This time around he's expected to deliver a major speech on the economy and middle class families in Detroit, according to David Shepardson of the Detroit News. The address will come just three weeks before tax cuts are set to expire on nearly all Americans and $1.2 trillion in mandatory domestic and defense spending cuts over 10 years are to take effect — unless Congress acts. "I believe America only thrives when we have a strong and growing middle class. And I believe we're at our best when everybody who works hard has a chance to get ahead. That's what I believe," Obama said. "I believe both parties can — and will — work together in the coming weeks to get that done. We know how that gets done. We're going to have to raise a little more revenue. We've got to cut out spending we don't need." Shepardson points out that without a tax deal, taxes will increase for a majority of Americans, and unemployment benefits will expire. About 93,000 people in Michigan will lose unemployment benefits by the end of this month unless Congress acts. No details of the visit have been publicly announced yet. Those details are expected in the coming days from the White House. A new report from the United States Commerce Department found that economic recovery is occurring in Michigan. 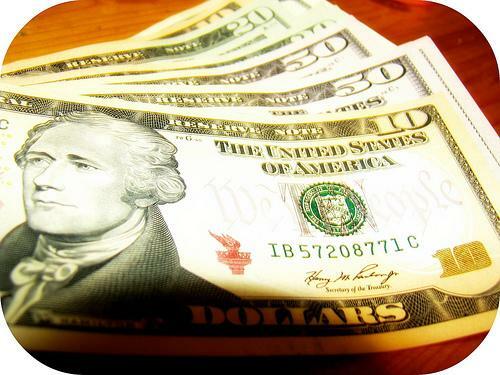 According to the survey, per capita personal income rose in nearly every Michigan county last year. Charley Ballard, Michigan State University Professor of Economics explained that although improving, Michigan’s economy still has further to go. Ballard began by defining the factors of per capita income. “It’s their wages and salaries. It also included dividends and social security. It doesn’t include Medicare. 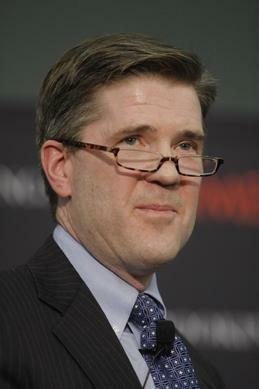 They add up all of the income of all the people in Michigan and then divide by the number of people,” said Ballard. Though improved, Michigan is still well below the national average of per capita income. Philanthropic organizations want to capitalize on the spending campaigns of "Black Friday" and "Cyber Monday" - and also flip the idea of consumerism on its head. The idea behind "Giving Tuesday" is to take time to donate to charity, after two of the biggest shopping days of the year. Eileen Heisman is the CEO of National Philanthropic Trust - one of the groups promoting the campaign. "This is the first year, but I think it's going to continue," said Heisman. "I'm almost positive it is, and so I think in the following years we'll see a much bigger push and more visibility for people taking this time of year to give back in a more formal way on this day." 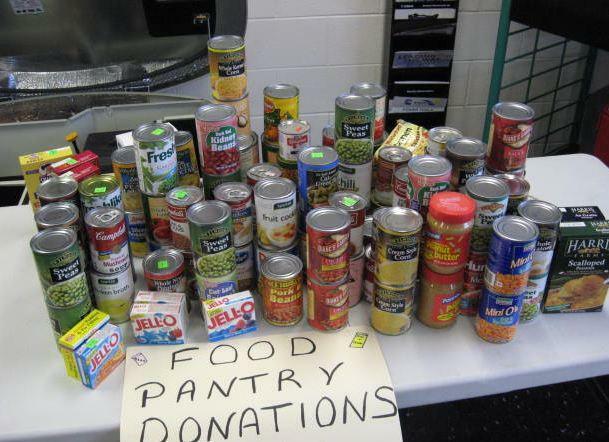 Charities report nearly a quarter of their annual donations come between Thanksgiving and New Years. And I forgot to mention Devil Dogs, Donettes, and Sno Balls. Hostess Brands announced this morning that they're going out of business and laying off around 18,500 employees. The last batches rolled off Hostess production lines early Friday morning, according to Tom Becker, a company spokesman, and no new products will be made for the time being. 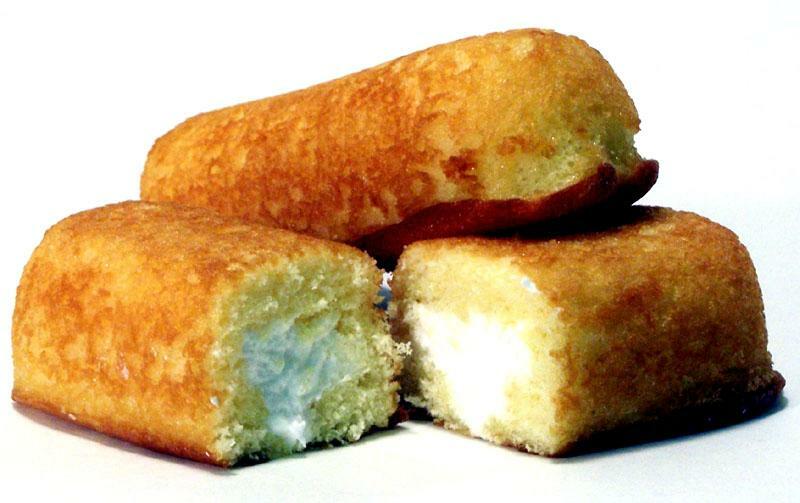 The Times points out that Twinkies might not be a thing of the past, as Hostess Brands will likely be auctioned off to others. ANN ARBOR, Mich. (AP) - University of Michigan economists say that over the next two years, the U.S. economy will regain the rest of the nearly 9 million jobs lost in the recession. The prediction came in Thursday's release of the annual forecast of the U.S. economy from UM economists Joan Crary, Daniil Manaenkov and Matthew Hall. They foresee the creation of 2 million jobs in 2013 and another 2.3 million in 2014 as unemployment falls from 7.9 percent to 7.2 percent during that time. Employment fell by 8.8 million jobs during the 2008-09 economic downturn, but the economy has recovered 4.5 million jobs in the last three years. The UM forecast is based on the Michigan Quarterly Econometric Model of the U.S. Economy and compiled by the UM Research Seminar in Quantitative Economics. 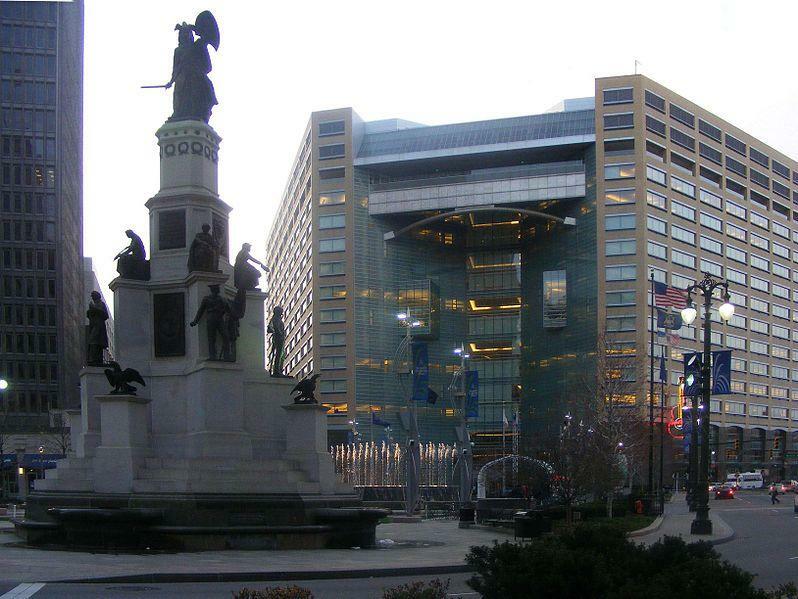 Detroit’s financial status is once again on the brink of devastation. The city’s program management director, William Andrews, recently told the advisory board that the city is facing financial crisis. Detroit News business columnist Daniel Howes assessed the city’s situation, looking at its aging bureaucracy as a potential area of conflict. The collapse could occur sooner than expected, said Howes, perhaps as soon as December. “It could happen as early as next month. What’s hanging out there right now is about $80 million in bond proceeds that the State Treasurer's Office is holding more reforms within the city. There is hope they can move ahead with some reforms that would release around $30 million by the end of the year. 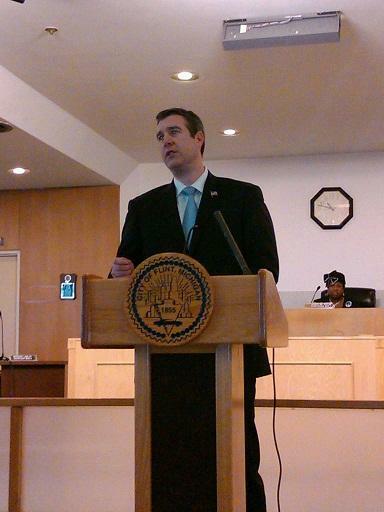 It’s really important to note that time is running out for the city,” said Howes. TROY, Mich. (AP) - Chemical giant DuPont Co. is opening an innovation center in suburban Detroit that's aimed at speeding the introduction of new products for the automotive industry. The Wilmington, Del.-based company's facility opened Thursday. It is DuPont's eighth-such center and is located at its Automotive Development Center in Troy. The innovation center connects DuPont's Detroit-area customer base with 9,500 company scientists and engineers worldwide. DuPont says one aim of the innovation center is to boost collaboration with customers, government, educational institutions and business partners. The company already had automotive industry-focused innovation centers in India, South Korea and Japan. Michigan’s unemployment rate dropped one-tenth of a percentage point in September, to 9.3 percent says a new report released by the Michigan Department of Technology, Management & Budget (DTMB). This marks the state’s first decline in the jobless rate since April. Total employment increased by 11,000 in September and has risen by 58,000 over the course of the past year. The announcement is expected later today.